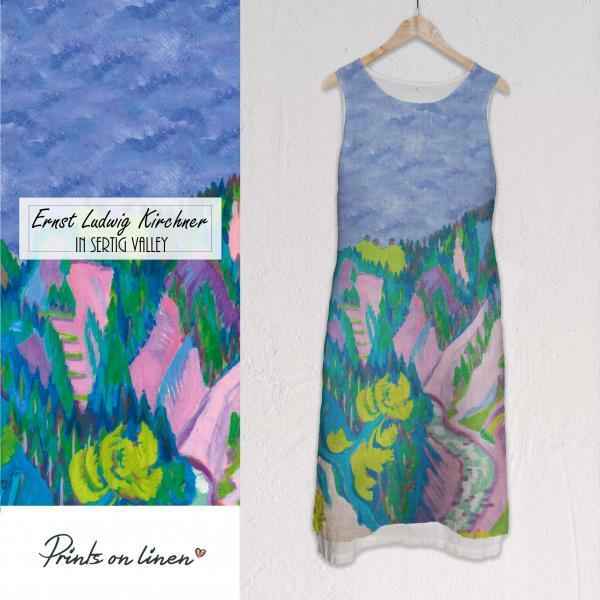 Sleeveless linen dress with deep pockets, design inspired by Ernst Ludwig Kirchner artwork "In Sertig Valley". Hand made in Lithuania, 100% linen. 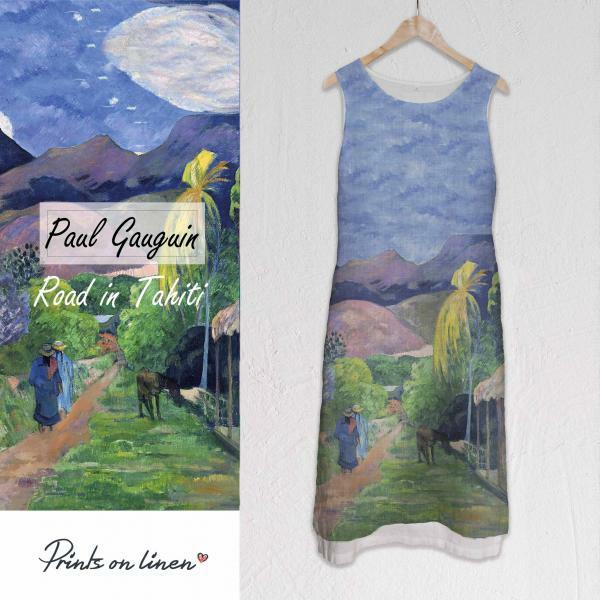 Sleeveless linen dress with deep pockets, design inspired by Paul Gauguin artwork "Road in Tahiti". Hand made in Lithuania, 100% linen. 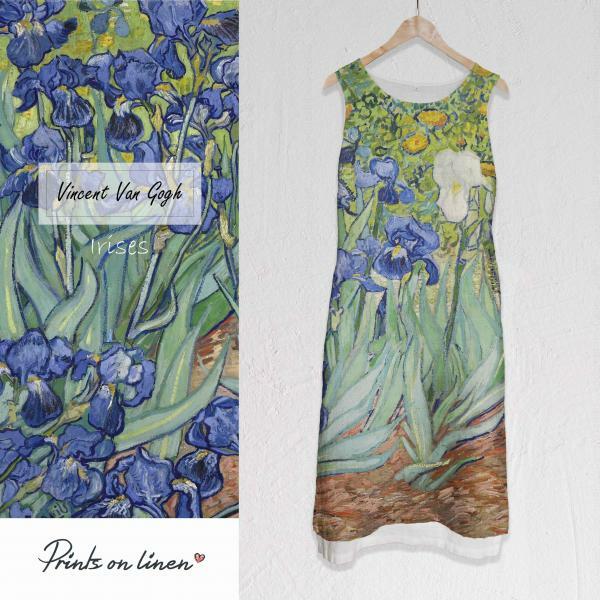 Maxi sleeveless linen dress with deep pockets, design inspired by Van Gogh artwork "Irises". Hand made in Lithuania, 100% linen. 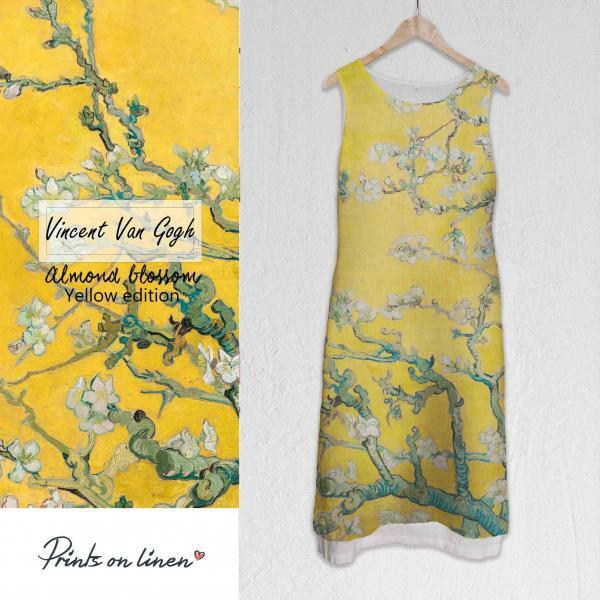 Maxi sleeveless linen dress with deep pockets, design inspired by Van Gogh artwork "Almond Blossom", yellow edition. Hand made in Lithuania, 100% linen. 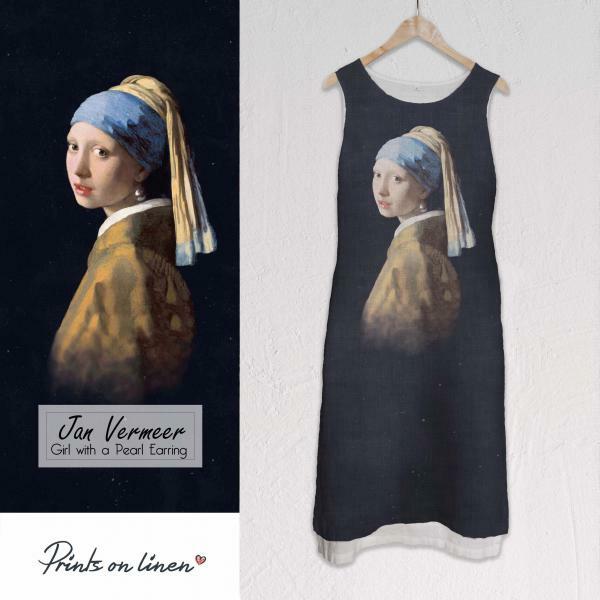 Maxi sleeveless linen dress with deep pockets, design inspired by Jan Vermeer artwork "Girl with a Pearl Earring". Hand made in Lithuania, 100% linen. 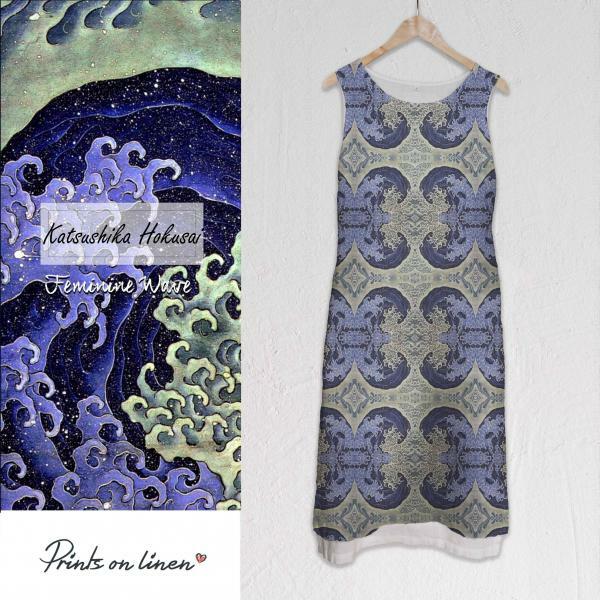 Maxi sleeveless linen dress with deep pockets, design inspired by Katsushika Hokusai artwork "Feminine Wave". Hand made in Lithuania, 100% linen. 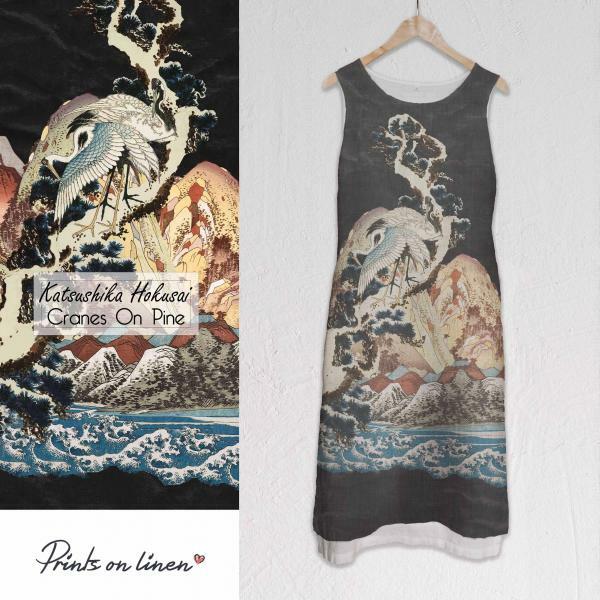 Maxi sleeveless linen dress with deep pockets, design inspired by Katsushika Hokusai artwork "Krines On Pine". Hand made in Lithuania, 100% linen. 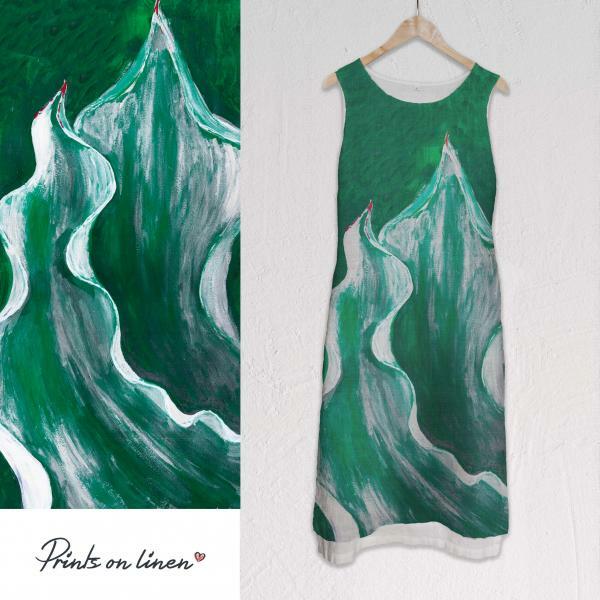 Maxi sleeveless linen dress with deep pockets, Printsonlinen design "Eco Fashion". Hand made in Lithuania, 100% linen. 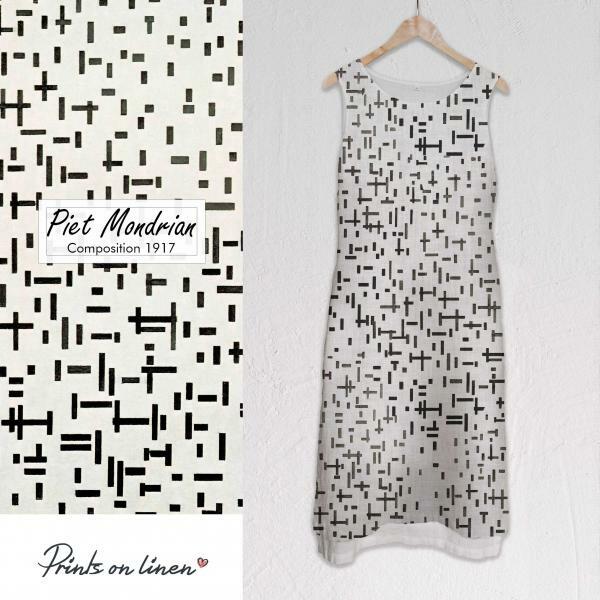 Maxi sleeveless linen dress with deep pockets, design inspired by Piet Mondrian artwork "Composition 1917". Hand made in Lithuania, 100% linen. 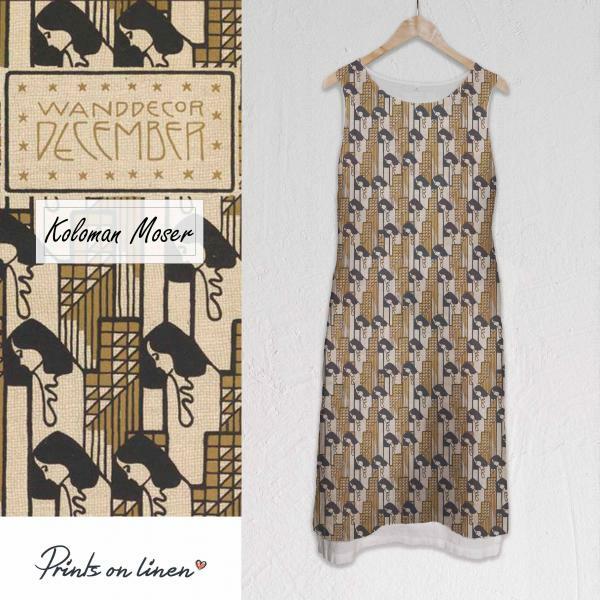 Maxi sleeveless linen dress with deep pockets, design inspired by Koloman Moser artwork "Wanddecor December". Hand made in Lithuania, 100% linen. 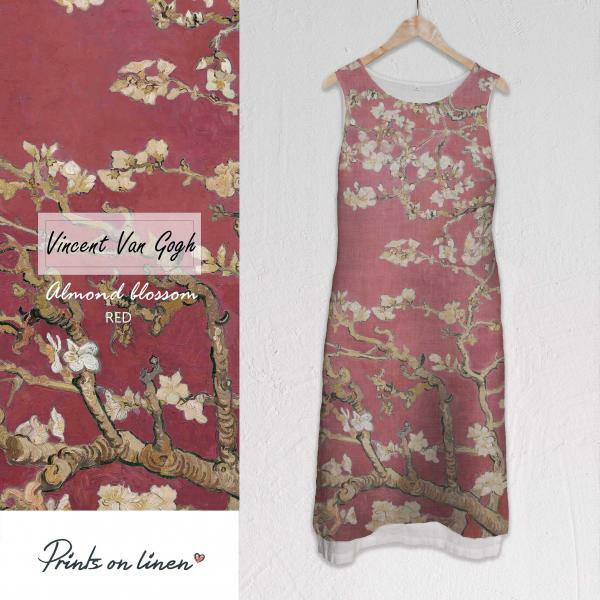 Maxi sleeveless linen dress with deep pockets, design inspired by Vincent van Gogh artwork "Almond Blossom", red edition. Hand made in Lithuania, 100% linen. 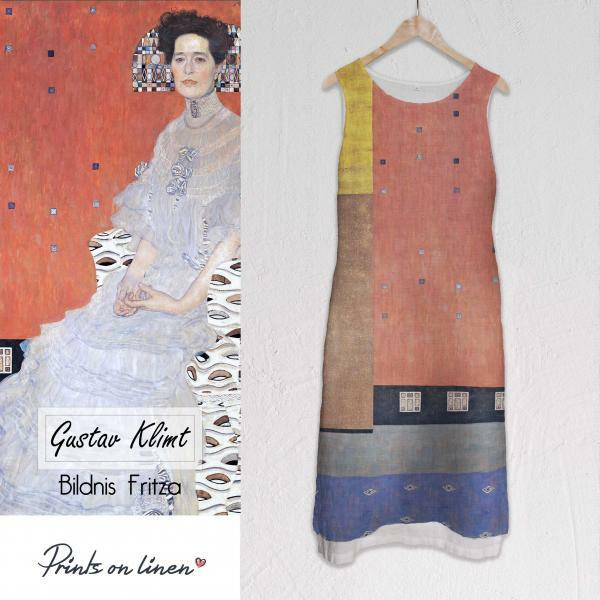 Maxi sleeveless linen dress with deep pockets, design inspired by Gustav Klimt artwork "Bildnis Fritza". Hand made in Lithuania, 100% linen. 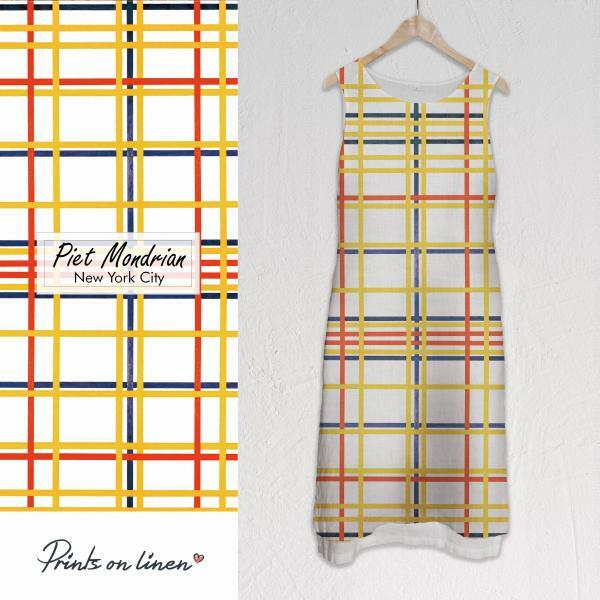 Maxi sleeveless linen dress with deep pockets, design inspired by Piet Mondrian artwork "New York City". Hand made in Lithuania, 100% linen. 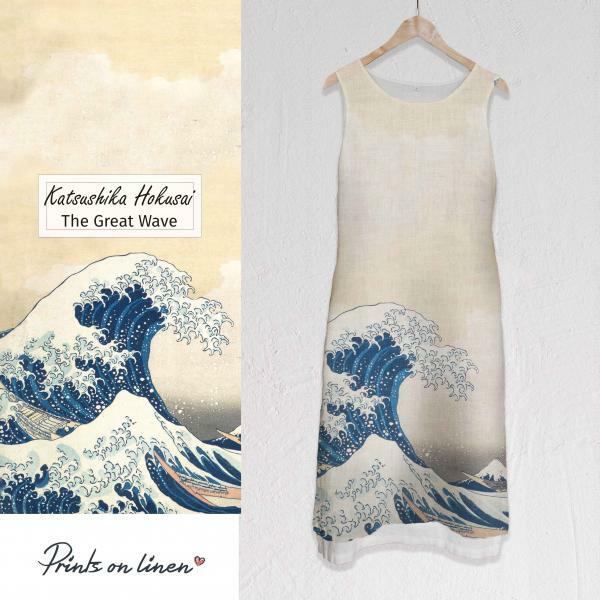 Maxi sleeveless linen dress with deep pockets, design inspired by Katsushika Hokusai artwork "The Great Wave". Hand made in Lithuania, 100% linen. 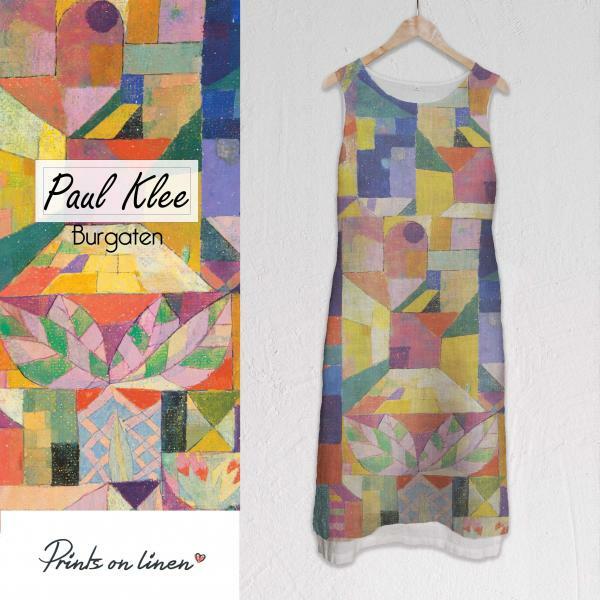 Maxi sleeveless linen dress with deep pockets, design inspired by Paul Klee artwork "Burgaten". Hand made in Lithuania, 100% linen. 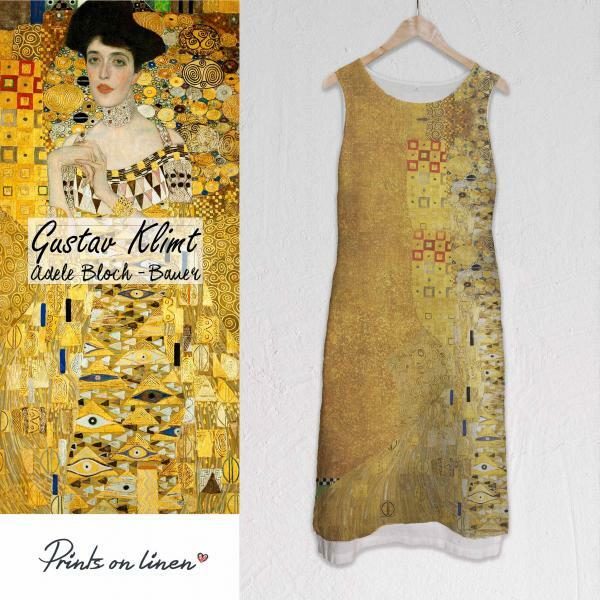 Maxi sleeveless linen dress with deep pockets, design inspired by Gustav Klimt artwork "Adele Bloch - Bauer". Hand made in Lithuania, 100% linen. 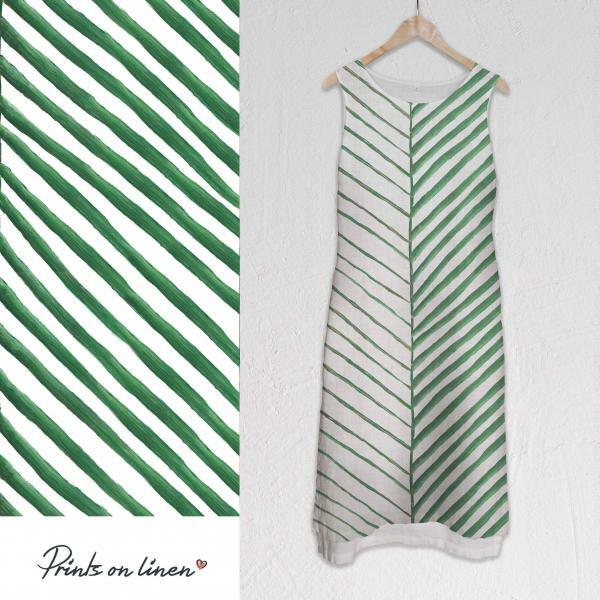 Maxi sleeveless linen dress with deep pockets, design by Printsonlinen "Green leave". Hand made in Lithuania, 100% linen. 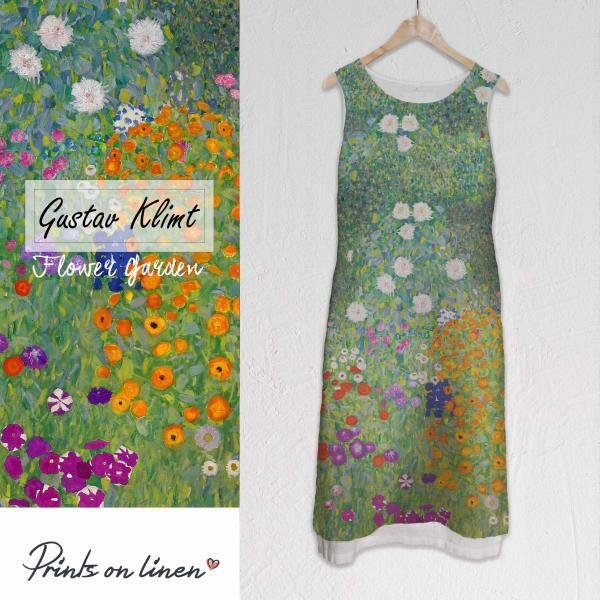 Maxi sleeveless linen dress with deep pockets, design inspired by Gustav Klimt artwork "Flower Garden". Hand made in Lithuania, 100% linen. 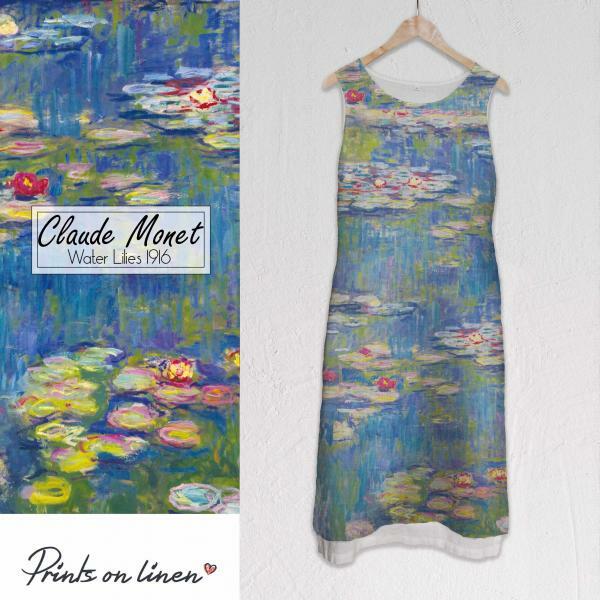 Maxi sleeveless linen dress with deep pockets, design inspired by Claude Monet artwork "Water Lilies 1916". Hand made in Lithuania, 100% linen. 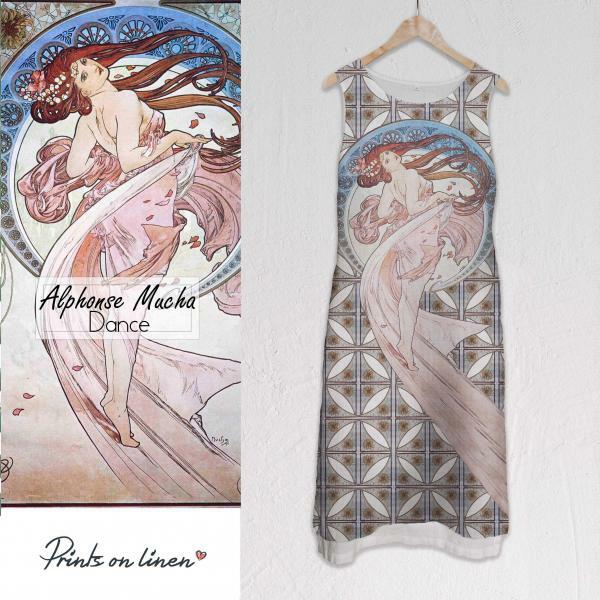 Maxi sleeveless linen dress with deep pockets, design inspired by Alphonse Mucha artwork "Dance". Hand made in Lithuania, 100% linen.